Official Wine of MINNESOTA FUN! 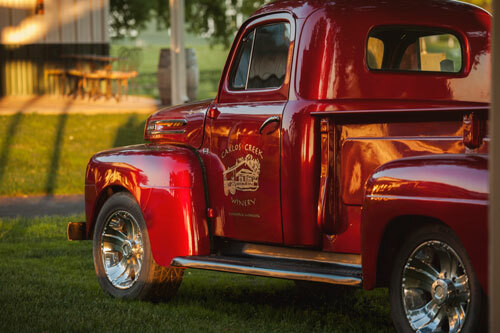 Minnesota Winery in Beautiful Minnesota Lake Country! We are hiring for many positions including: Event Bar, Event Security, Event Intern, Brewery Beertender, Brewery Runner/Busser, Wood-Fired Grilled Pizza Manager, Grounds/Vineyard Crew and Winery Tasting Rom Server! Click on the image to apply! Check out our online wine shop! Get your favorite CCW wines delivered straight to your house. Now shipping to 38 states! Join our Carlos Creek Winery travel group for 8 Days in BEAUTIFUL TUSCANY 2020! Click on the image to learn more! Coming to visit? See all of the fun options we have for you and your group. Offerings include wine sampling, free production tours on Saturdays, Reserve Room Enhanced Tastings and MORE! Click here to see all of our tasting & tour options. Check out our live music schedule! We have live music every Saturday YEAR ROUND and on Sundays Memorial weekend - Labor Day weekend! Love Carlos Creek Winery wine? Join our wine club and receive special club perks like: discounts on wine, special release wine, pickup parties and more! Click here to find out more about our wine club. Coming this summer to Carlos Creek Winery - 22 Northmen Brewing Co. & Valkyrie Wood Fired Pizza! Follow 22 Northmen on Facebook & Instagram to get the most up-to-date information! Group reservations are required for groups of 10 or more. "Wine should be welcoming, fun, and most importantly, really, really good! " NOTE! We stop selling tastings 30 minutes prior to close to assure guests have ample time to enjoy their samples. NOTE: We do not allow food to be brought and consumed on sight. We do offer food items in our deli!